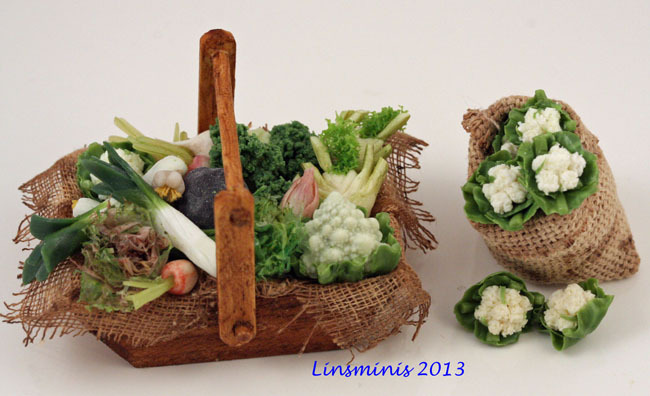 linsminiartform: Just a few veggies! 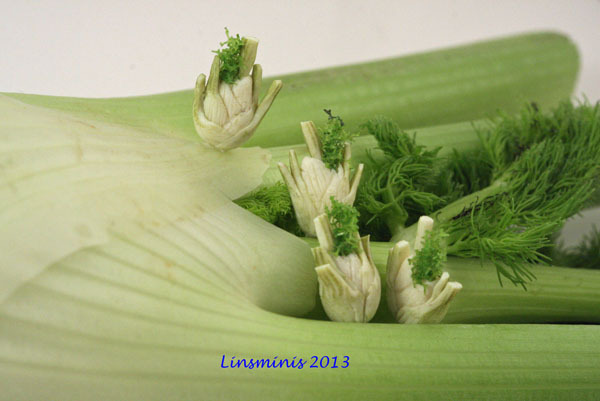 I hope your 2014 crop will be as beautiful as the miniature version you have made. The basket of veg is gorgeous! Greetings, Your vegetables are wonderful! Very frustrating about your full-size garden - so much less control over mother nature! I am just south of Vancouver, BC Canada and I think we have similiar conditions - rain, rain and more rain and such dull dark days! Last year as an experiement for this spring I planted and marked where I had put in pea seeds to see if they would survive and come up earlier than if I planted on St. Patricks Day - March 17. I saw them peeking through last week but with snow forecast I raced out and put mulch on top... now hoping they will survive in the raised beds. Wishes for better weather for growing 2013! FANTASTIC work Lin! They look so real-like! On spot coloring and details! I love fennel, and your mini fennel is stunningly real! Another beautiful job!